My ministry colleagues overseas have studies. My American ministry colleagues have offices. I choose to have a study because I am always learning move about God and His people everyday. 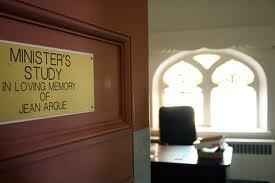 I had a man visit my study today. He was released for just one week from serving 19 years. He felt a need to repent and to repay for the deeds he had done. His question is, "Where can he serve at-risk youth?" As he described for me the prison culture behind the walls, I became more acutely aware of how our young boys and girls are targeted to become initiated into gang life. The attraction of our youth to gang life is an evil cancer eating away at the fabric of our community. They are being brutalized and traumatized into a decadent life-style for the pleasure of an aggressive few who have limited options without the constant flow of youth being supplied to them for the gangs culture to survive. The passing of my aunt has been sensitizing to me. Her passing reminds me to call the senior members of my family and community periodically. You know what I mean, they don't email, text, or tweet. They communicate the old-fashioned way by telephone. I called two senior persons today. One was a member of my family, and the other was a member of my church. They didn't want to talk long. They just wanted to know that I was thinking about them. Their joy became my joy. 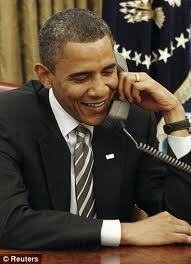 I have promised myself to take the time to call senior members of my family and community with regularity. It's my opportunity to learn and talk with people who have a rare commodity in our day and time - wisdom. Sunday, April 29, 2012 will be Promise Heights Day at Union Baptist Church. Promise Heights is a concept involving major stakeholders within the West Baltimore Community working to ensure positive outcomes for the youth and their families. "From the cradle to career" is the mantra that compels us to make certain within this community is "where hope takes root." Many thanks to the University of Maryland School of Social Work for their commitment to this effort. Dean Rick Barth, Bronwyn Madden, and Rachel Donegan have led a very creative team of talented people who are changing the course of history for our families and youth. They will be recognized for their efforts on Sunday. 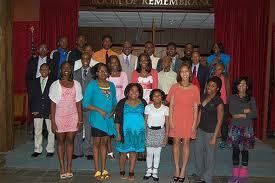 The Youth of Union will lead the worship service. They are examples of youth who are "reaching for the promise." They will be joined in the service by the Furman L. Templeton Preparatory School Choir and The Performing Arts School at Booker T. Washington. 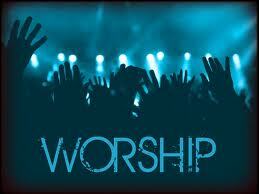 This will be an amazing day were one will witness over 150 youths being actively involved in a worship experience. You should make your way to 1219 Druid Hill Avenue at 11:00 a.m. this Sunday, April 29th, and witness a miracle. What do you do on the morning after a life changing, spirit filled experience? 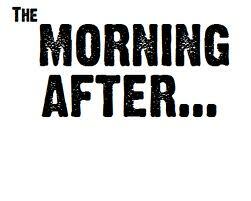 For many people, the morning after is a time of sorrow and sadness, for believers it’s a time of rejoicing. "Weeping may endure for a night, but joy does come in the morning." If after your experience, you do not feel joy, then you were probably in a place you should not have been. Place is defined as a condition, as well as a position. Where were you yesterday, wherever that may have been, make this the best day of the rest of your life? I choose this day to rejoice and enjoy the presence of the Lord, who is in this place. In the arena of physical exercise, there is an enzyme called adrenalin. Adrenalin is the extra energy provided by the body that permits it to gain a needed burst of strength when it is necessary. You might have experience it when you were frightened, and you did something you wouldn't have been able to do under normal circumstances. In the spiritual realm we also have a source of energy, which is the Holy Spirit of the living God. It's an available source when needed to confront evil, disappointment, fatigue, hopelessness, anger, or any attack by the demonic that is intended to deny, deter or detain you from what God has in store for you. That's why Paul could list a series of areas that under normal circumstance would defeat you. He emphatically affirms none of them or anything can defeat you because of the love of God (adrenalin) that is available to you if you believe. I believe the Holy Spirit is available for you in all circumstances. I just need help sometimes from my unbelief. 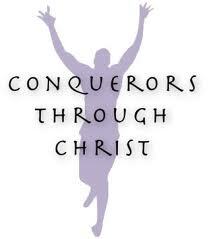 Nevertheless, I believe we are; you are, and I am more than conquerors through Christ that loves us and strengthens us. HATHAWAY, Reather Marion Peele, 87, of Richmond, departed this life April 19, 2012. She was preceded in death by her husband, Rev. J. Wallace Hathaway. She leaves to cherish her loving memory two daughters, Arletha Stokes (Charles Sr.) and Dr. Marcia Munford (Roger); two sons, Rev. Milton Hathaway (Dr. Sylvia) and H. Alan Hathaway; 10 grandchildren, 19 great-grandchildren; sister, Katie Malloy; sister-in-law, Daisy Peele; brother-in-law, Charlie Hathaway; and a host of other relatives and friends. Remains rest at March Funeral Home, 2110 E. Laburnum Ave., where viewing will be held on Monday, April 23 from 12 to 8 p.m. and where family will receive friends from 6 to 7 p.m. Funeral service 11 a.m. Tuesday, April 24, 2012 at Grayland Baptist Church, 2301 3rd Ave., Rev. Dr. Alvin Hathaway officiating. Rev. Dr. Clifton Whitaker Jr., eulogist. Interment Riverview Cemetery. My sermon this morning is entitled, "You heard, You've seen, Now Go! Each of us has a job to do which is embodied within Matthew 28: 18, "Go ye therefore, and teach all nations, baptizing them in the name of the Father, and of the Son, and of the Holy Spirit: teaching them to observe all thins whatsoever I have commanded you; and lo, I am with you always, even unto the end of the world, Amen." God has called us to do the greater. We are great people. Let us arise and do great things for Him! Just reflecting on some good times and good people that have graced my journey. I happened to be in the Bahamas with Rev. Dr. Harold A. Carter, Sr. and Rev. A.C. D. Vaughn. They are amazing men of God and represent the best in pastoring and preaching. Just to have the opportunity to share in their presence was a blessing to me. I believe you should treasure the moments when you can interact and interview the leaders of the faith; you will glean from them nuggets of truth that will carry you a long way in life. Our family was blessed with persons who served as the maternal and paternal images for our family. The Hathaway family has a strong extended family that blended together because of the love shared by our forefathers and foremothers. As I reflect on Mr. Charles A. Hathaway and Mrs. Reather P. Hathaway, I marveled at the long-term relationship they shared. 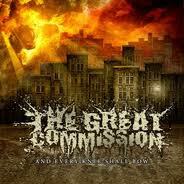 Through the vicissitudes of life, they remained steadfast and unmovable in their love for God. They exhibited a value system that had at its core a moral integrity, social dignity, a love for family, and spiritual tenacity. The baton is being passed to our generation. We are fortunate to have had outstanding Christian ancestors who showed us the way through their living.
" O death, where is they sting? O grave, where is thy victory? ... But thanks be to God, which giveth us the victory through our Lord Jesus Christ." This morning my aunt, Reather P. Hathaway, made her transition to glory. She truly was a wonderful and marvelous aunt. So many times I would stop by her house, and immediately the moment became a feast of food and love. Her counsel was wise and necessary to help me navigate through the various stages in life I faced. Never judgmental, she was praying for the best in you. She was a teacher by vocation, but an angel by avocation. She reflected the beauty of the God she served. I'm so thankful to God for allowing her to be a positive influence on my life during my development period. 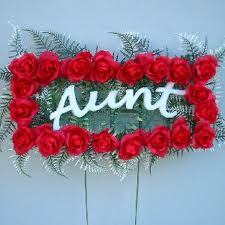 Aunt Reather will be missed, but always treasured. She taught us how to live. She taught us how to love. She taught us how to serve. She taught us how to die. And, she taught us that the victory is found in Christ Jesus. 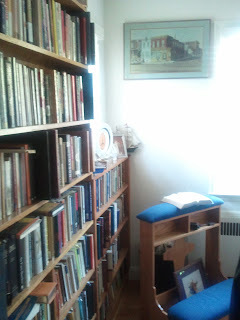 Glimpse into my study were you see a portion of my library and prayer altar; both items were made by craftsmen for me. Everyone needs a secret closet, a place of study and prayer. Yesterday was a marvelous birthday; it reminds me of the fact, that there are so many wonderful people in the world. I love and respect each of you. Time and relationships are so precious. I take neither lightly. My meditative word is found in John 12:31, "We would like to see Jesus." At the core of life's journey one needs a desire and a goal, for me, it's to see Jesus in life, in others and in myself. Be blessed and enjoy the blessing's God gives to you everyday! Today I celebrate another season of life in God's great universe. I am thankful to everyone who has given me expressions and greetings of warm welcome. It is very good to know one does not live in the world alone. Each of you have influenced me and impacted me in a very positive way. I'm thankful for the opportunity to serve within the community of my birth and witness the 160th year anniversary of Union Baptist Church. The past few months have been a world wind of activity. I have gone from the White House to Morehouse. I have been in the presence of President Barack Obama, and in the shadow of the image of The Rev. Dr. Martin Luther King Jr.
God can do amazing things within your time and space. I'm thankful and appreciate each moment, He has granted to me. Even at this stage of life, I've learned the vastness of God's love and the ability to love without conditions. I'm surrounded by a cadre of colleagues who are amazing and brilliant. I’m enveloped within a family, nuclear and extended, who pray together and stay together. I have an amazing group of friends who stick closer than a brother or a sister. In the final analysis, I can say without any fear of contradiction, "I am truly blessed." On examining the relationship between Moses and Joshua you learn an interesting fact: Joshua never tired of fighting. Moses needed help praying. Both were necessary to defeat the enemy. What is the key to note is that it is much easier to fight with sin in public than to pray against it in private? Spiritual disciple is difficult to maintain because we are flesh and blood. Nevertheless, we must continue in the discipline of prayer until the evening of life is over. I pray your hands remain steady until then! The Youth of Union gather on Easter Sunday. They are preparing for April 29th "Promise Heights" Sunday. They will join in worship with youth from the community as we "reach for the promise." Each youth on this picture is endowed with tremendous gifts and talents that only could come from God. Our job is to train, nurture, protect, and provide them with the best quality of life so they may blossom into the gift God intends. A brother asked me if I had a suit to give him because he wanted to come to church. 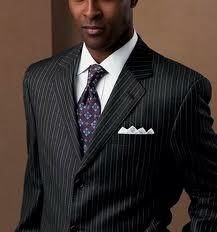 I gave him two suits, two shirts, and two ties to match. I looked up one Sunday and the brother was in church. After preaching I opened the doors of the church and extended the invitation to come to Jesus Christ. That same brother walked boldly down the aisle and joined the church. Today we will baptized four persons and give the Right Hand of Fellowship to five. He will be one of the five who will receive the Right Hand of Fellowship. Jesus Christ is alive and He lives within you! Today's Message is entitled, "The Power of a Risen Savior!" This evening at Pennsylvania Avenue A.M.E. Zion Church, 1128 Pennsylvania Avenue. The Ministry and Members of three churches: Douglas Memorial Community Church, Pennsylvania Avenue A.M.E. Zion Church and Union Baptist Church will join together in a foot washing service beginning at 7:00 p.m. I am honored to preach from the above text, a sermon entitled, "The Power of a Towel." A deeper observation of this text reveals that Simon is not carrying his cross, but the cross of Jesus Christ. When you carry the Cross of Jesus, he gives you the strength to endure it. 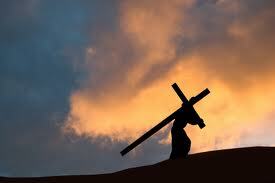 Why, because you carry the cross after Him. The path you walk is marked by the footprints of Jesus. He always goes before you as an example of how you should live your life. Furthermore, you bear the cross in partnership with Jesus. Jesus still carries the heavier portion, while you assist by carrying the lighter portion. You are working with Jesus in partnership. Finally, in bearing the cross of Jesus it is just for a little while, but it gives you lasting honor. Yes, in carrying the cross of Jesus, he gives you strength to endure it because you are in partnership with Him to carry his cross for a little while. This month of April is said to derive its name from the Latin verb aperio, which signifies to open because all the buds and blossoms are now opening, and we have arrived at the door of the flowery season. It is also time to open your hearts, minds and spirits to the reality of the Living God. It is time to seek the Lord. It is time to change from your dormant state to your prospering state by allowing the sunshine and rain of God's presence drench your life. Seek the Lord while He may be found, call on Him while He is near! I praise God for the three souls who came forth on Palm Sunday to accept Jesus Christ and to become baptized into the faith. On Easter Sunday, we will baptize four persons, and one person will join based on their Christian Experience. The Kingdom is expanding throughout the world because people are seeking God.